The dream of most aspiring athletes is to represent their country at the Olympic Games. Two former (Lady) Vols have had that experience, and both share some attributes besides wearing both the orange & white and the red, white, & blue. Both started their love of sports in Illinois — one on the southwest side of the state near St. Louis and the other on the northeast side of the state near Chicago. Both played basketball in high school. During their four years of eligibility, both played at another college besides Tennessee. Both earned All-Conference honors for the Vols and at that other college. Both led their teams to SEC Championships. Both were All-Americans. And they both share the same last name! 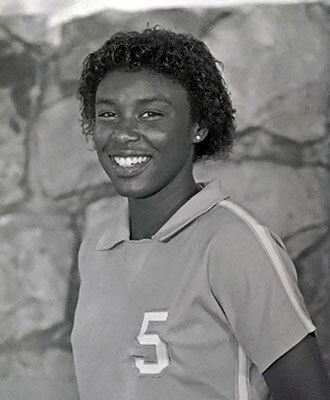 Beverly was a member of the Tennessee volleyball team in 1982 and 1983. She spent her first two seasons at Alabama before they dropped their volleyball program. She wasn’t in Knoxville long but she left a lasting legacy. After leaving Tennessee, she did some coaching and then was a member of the USA Women’s National Volleyball Team from 1985 to 1988. She and the team won a Bronze medal at the 1987 Pan American Games. She was an alternate on the 1988 team at the Olympics in Seoul, where the USA came in seventh. Since then, Beverly Buffini has been married to her husband, Brian, for over 25 years. They have six children. She’s an author and an educator. 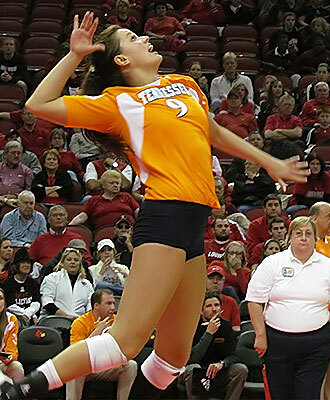 Kelsey was a member of the Tennessee volleyball team from 2010 to 2012. She spent her senior year at Nebraska. Though we didn’t get to see her final season, in the three years she was here she tore up the stat sheet and the record books. After leaving Tennessee, she continued her career at Nebraska. Besides the First-Team All-American honor listed above she also picked up All-Big Ten Team and Big Ten Player of the Year awards, while leading her team to the Elite Eight. She made the USA Women’s National Volleyball Team in 2014. She’s earned Gold medals at the FIVB World Championship, FIVB World Grand Prix, and the NORCECA Championship. Kelsey was named the Best Receiver at this year’s NORCECA Olympic Qualification Tournament. The USA has reached the knockout round at the 2016 Olympics in Rio after going 5-0 in pool play. UPDATE: Kelsey and Team USA went on to win the Bronze Medal, going 7-1 in Olympic competition.